ERP is, by its very name, directed more at the big guy. It's enterprise resource planning, not small-business resource planning. 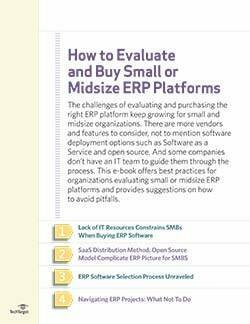 That's because smaller companies usually lack the budget or time to put an ERP platform in place. 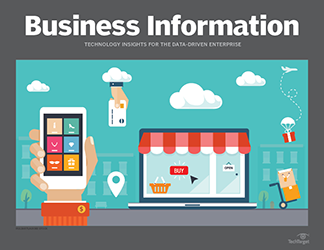 Even so, small and medium-sized businesses (SMBs) can benefit greatly from ERP. 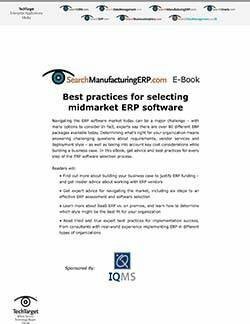 In this handbook, find out how smaller companies can get into the ERP game. 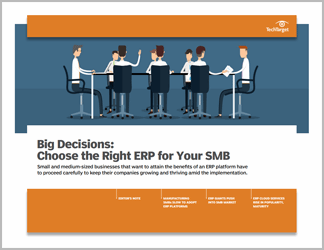 In the first article, journalist Alan Joch uncovers some of the hurdles SMBs may face when they try to adopt ERP. Second, freelance writer Lauren Gibbons Paul explains how even ERP platforms from big vendors such as Oracle and SAP are viable options for SMBs. 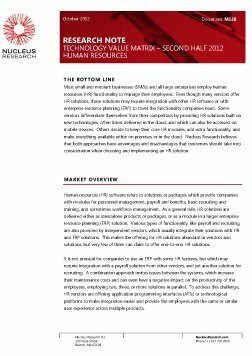 Third, Joch returns to examine why cloud ERP may be a good fit for smaller companies.